Well Hello All on this very blustery rainy day… What happened to the lovely but unseasonable sunshine of 2 weeks ago? 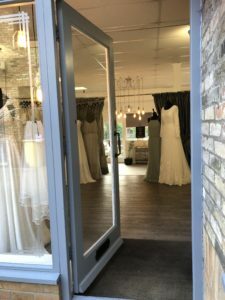 As we sit here listening to the wind rattle on pass and dream of sunnier days which include chilled wine on the patio, let us introduce to you ‘Shades of White’. 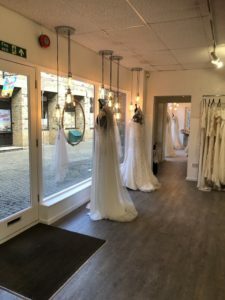 ‘Shades of White’ is a multi-award nominated bridal boutique in the market town of St Ives Cambridgeshire. You will find ‘Shades of White’ nestled down a quiet mews alongside the picturesque River Great Ouse. 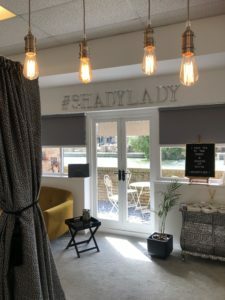 Once you step inside, you’ll be met by one of our wonderful passionate and loving team – we genuinely just want to make your visit with us to be one where memories are made and fears of getting the right ‘one’ are alleviated. 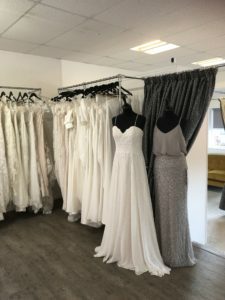 Our collection of dresses includes the latest designs by Justin Alexander, Maggie Sottero, Mark Lesley and Sincerity along with stunning designs from Lou Lou, Eliza Jane Howell and Lillian West. You really are spoilt for choice. 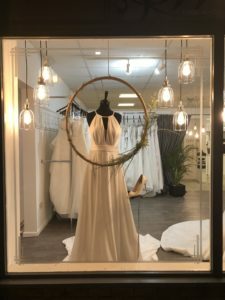 When ‘Shades of White’ was opened 6 years ago, we had a clear goal in mind – we wanted our boutique to be all about our visiting bride, therefore customer service was paramount to us, not only for our brides but for their visiting families too. 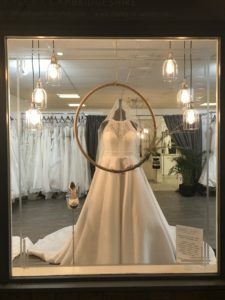 You will be totally surprised (or maybe not) to hear that it’s not just the bride who puts an inordinate amount of pressure on herself to find the perfect dress, this pressure is shared by close family who just want everything to be totally right too! 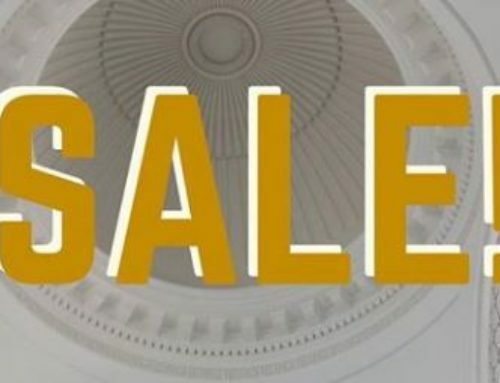 Our customer service is enthusiastically offered with passion, knowledge and expertise, nothing has changed in the 6 years, and this is still our ethos for ‘Shades of White’. 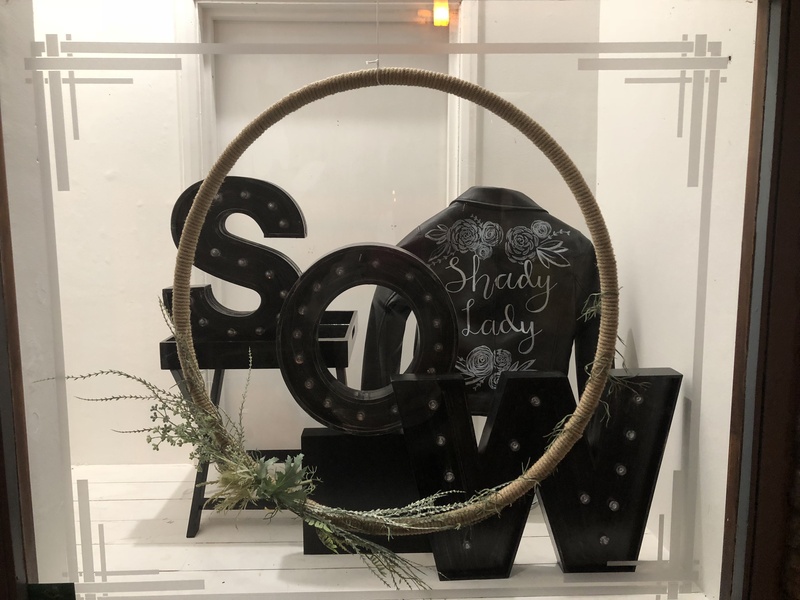 ‘Shades of White’, was an existing bridal shop that had been established for over 30 years, but we felt needed a well-earned face lift; so after much deliberation we settled on the name ‘Shades of White’, a new logo, and armed with paint brushes (and much needed help from our willing husbands) we set to with the interior. 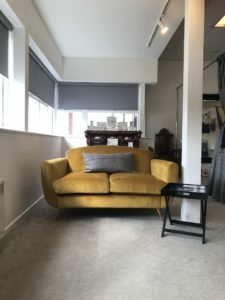 We wanted to create a boutique that was inviting, with a look of luxury that reflected our peaceful surroundings, and we believe that with a few further tweaks over the years this is what we have. 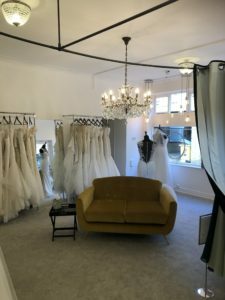 We totally understand that choosing the right boutique to purchase your wedding dress goes hand in hand with the whole wedding dress experience. 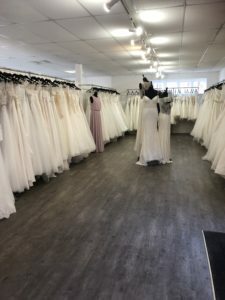 With 4 (1 of which is disabled friendly) spacious changing rooms and plenty of space for our brides and their family and friends to enjoy the experience of choosing a dream dress, it really is the place to visit. 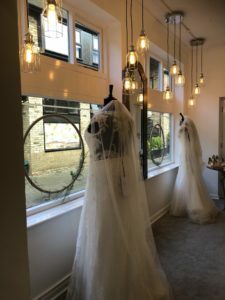 We want our brides to feel confident that where they are purchasing their dress has years of knowledge and experience at handling any situation that can arise. 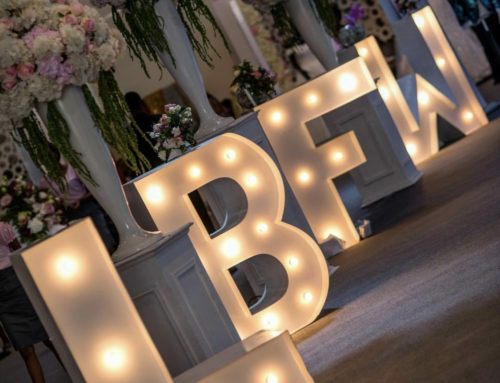 We really are honoured that so many past brides have chosen ‘Shades of White’ and our present brides and brides to be are still putting their trust in us. 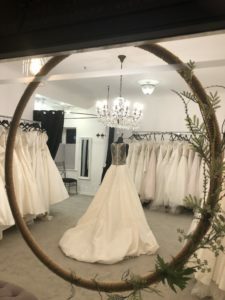 Our customer service does not stop the day you collect your gown from us, but continues to after your wedding day where we offer a full cleaning and repair service. 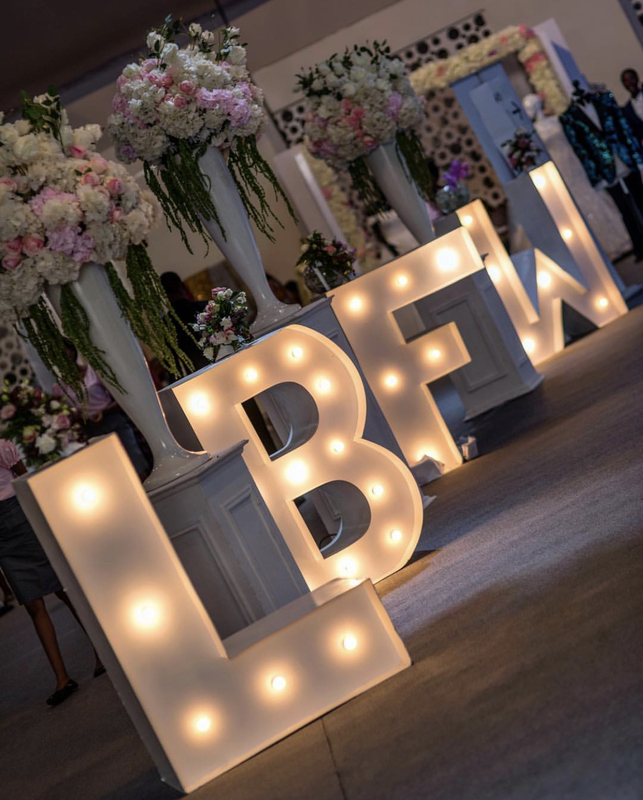 We want your journey with ‘Shades of White’ to be a memorable one – from your first visit, to choosing your wedding dresses, to our experienced expert alterations, to dress collection and beyond. 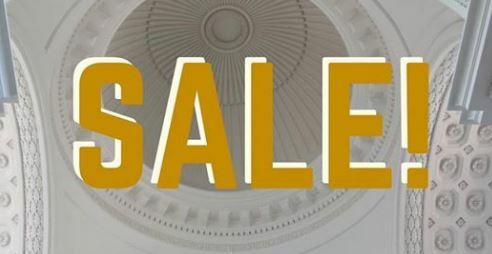 We truly look forward to meeting you soon and giving you a very warm welcome to our ‘Shades of White’ family.